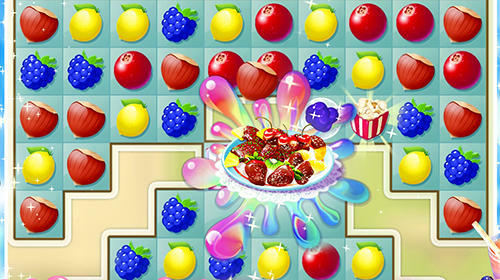 Match fruits and sweets, make lines of three and more identical objects to get rewards. 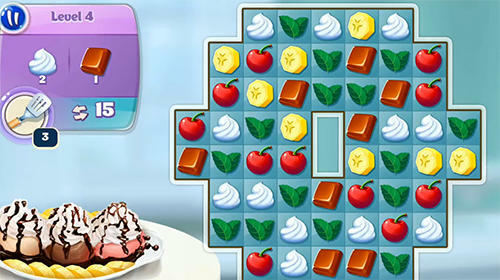 Become a candy maker in this merry Android game. 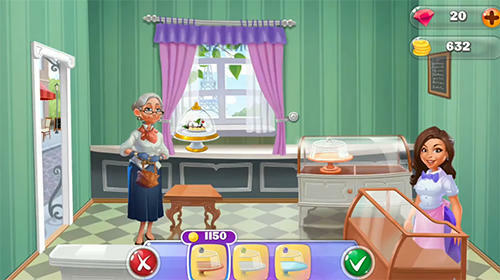 Gather your own collection of cooking recipes which you can use for making desserts at your home. 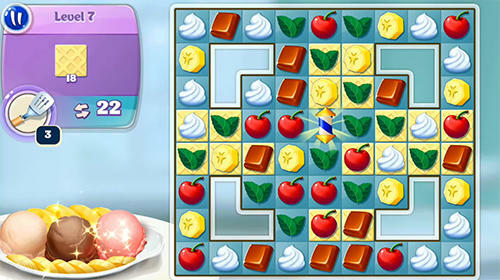 For this you just need to complete tasks and swap different sweets in order to make the needed combinations. 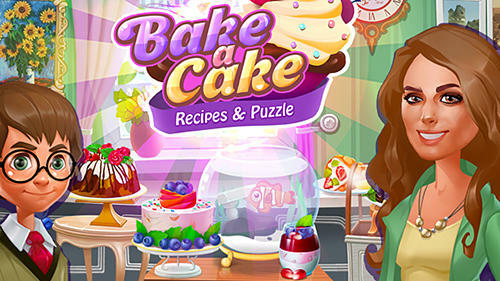 Travel across the world and open cake shops and cafes. 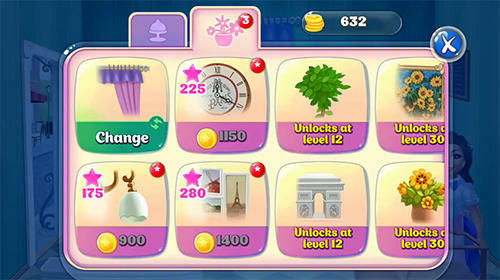 Upgrade your cafes to your liking.